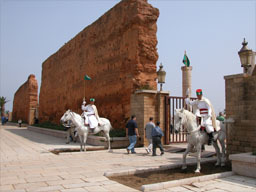 Begin your Morocco travel adventure when you arrive at Casablanca Airport and are welcomed to fascinating Morocco by your Berber Treasures Morocco Tours driver and transferred to your hotel. This afternoon your city tour of Casablanca introduces you this famous city’s principal sights including the impressive Hassan II Mosque. Overnight in Casablanca hotel. ۞ The cooking class/experience is intended as a hand-on enjoyable, engaging cultural activity. You are welcome to simply enjoy the meal if you don’t wish to participate in the cooking. 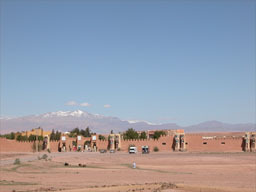 ۞ Optional full day excursions to Dades Gorge, D’raa Valley & Oasis or choose to relax at your Morocco kasbah. ۞ Optional visit to Majorelle Garden & the Berber Arts Museum. 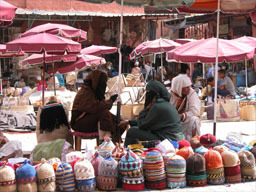 ۞ Optional Marrakech Evening Market Tasting Food Tour exploring the cuisine stalls and tiny cafes of the old medina.